Akebono, an observation satellite of the Japan Aerospace Exploration Agency (JAXA) that observes auroras, ended 26 years of observations on Saturday. The orbiter functioned longer than any other Japanese observation satellite, having far surpassed its expected one-year life. It achieved significant observation results, including helping to explain the existence of auroras. When Akebono was launched in February 1989, it attracted public attention as the world’s only satellite to help explain how auroras came to be. Akebono discovered for the first time that auroras more likely occur in winter than in summer. It was difficult to observe auroras from the ground in summer in the Arctic region due to the midnight sun. Based on Akebono’s observation data, 311 scientific papers and 254 dissertations have been written, according to JAXA. Currently, Akebono is no longer able to observe auroras as six kinds of observation instruments out of nine loaded in the satellite have fallen into disrepair. Its electrical output has also become insufficient as its solar cells and battery have deteriorated. Akebono’s last function was observing the plasma environment around the Earth. Akebono circles the Earth on a long elliptical orbit, but its altitude dropped from the initial 10,500 kilometers to about 4,000 kilometers at its farthest point from the Earth. JAXA has judged it would be difficult for Akebono to produce results anymore even if it continued observations. JAXA plans to cut its communication links with Akebono at the end of April. Akebono will burn up in the atmosphere in a few years, according to JAXA. A successor is scheduled to be launched next fiscal year. 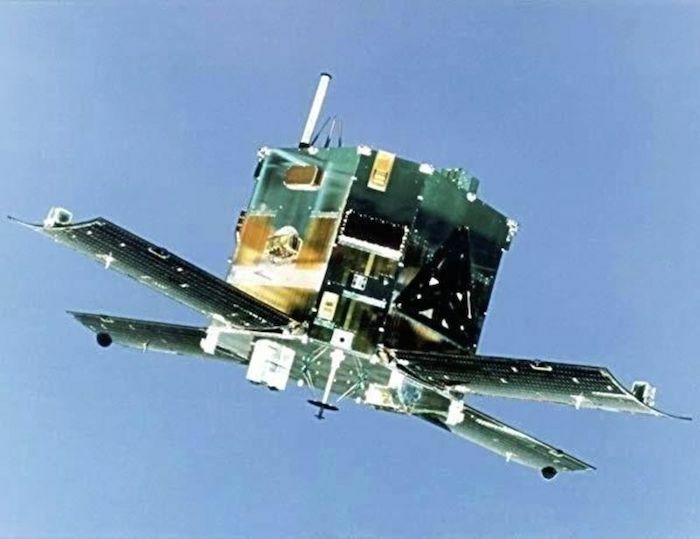 Guinness World Records lists the U.S. Landsat-5, which retired in 2013 after about 29 years in operation, as the world’s longest-functioning observation satellite. “It was blessed with good luck,” she said. Matsuoka has been involved in the project since she was a student at the time of the launch.